A westside satelite office specializing in technology and entertainment law requested an aesthetic that had an edge, yet visually connected with the Los Angeles office. 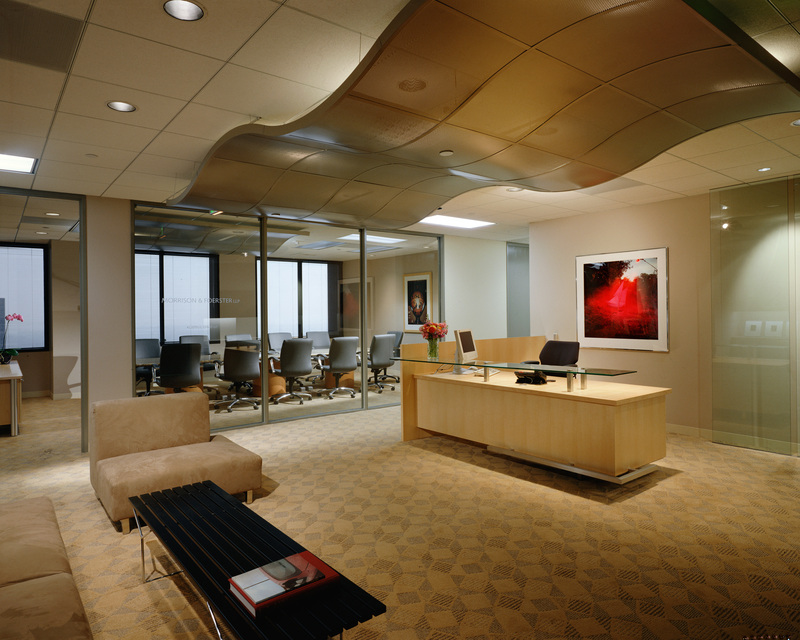 A wavelike formed ceiling system leads you into the open reception space with over-scaled furniture, custom reception desk, tempered glass panel accents and a recycled conference table slab. Client base expanded.